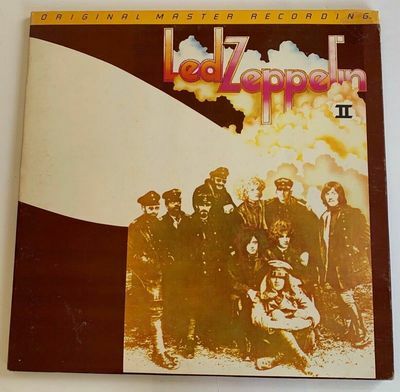 Led Zeppelin II Original Master Recording on MFSL 1 -065. The vinyl is in NM condition. (Still encased in the factory anti-static sleeve.) The MFSL insert is in NM condition. The gatefold cover is in VG+ condition, very clean, small price sticker residue top right corner.